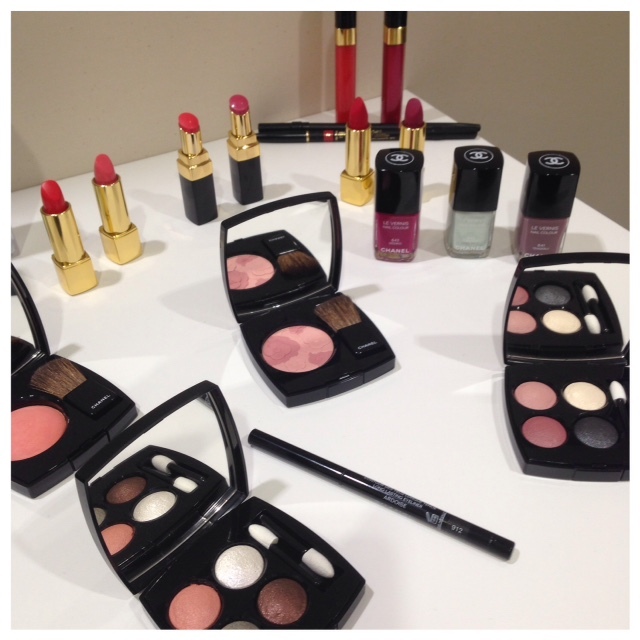 I haven’t had time to download and resize the official images yet, but here’s a very first look at what’s coming up from Chanel Beauty Spring 2015 (it’s in stores from end of January) using my own images taken at the event today. 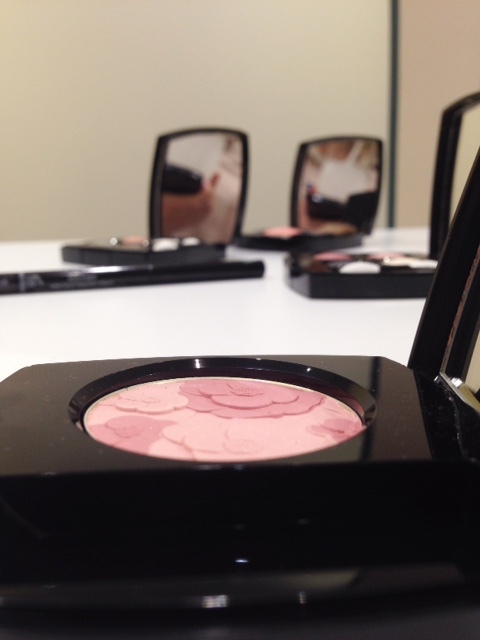 The stand-out piece is the Jardin de Chanel blush above, which is a masterpiece of make-up engineering. There are petals raised to three different heights within the same piece. I have no idea how they did this! I did ask if there was any info on the mould or the method – I’m sure I’m the only person to ask, and I’m pretty sure that I won’t get any info back! 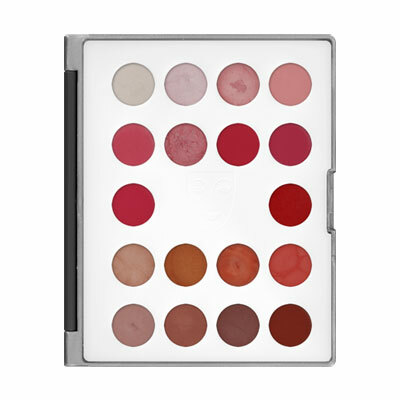 So, there are two palettes – the pink based one is coming into the on-going line-up, while the peachy based one is a limited edition. I would have thought it would be the other way round! Official names are LES 4 OMBRES 238 tissé paris (pink) and LES 4 OMBRES 236 tissé fantaisie (peach). 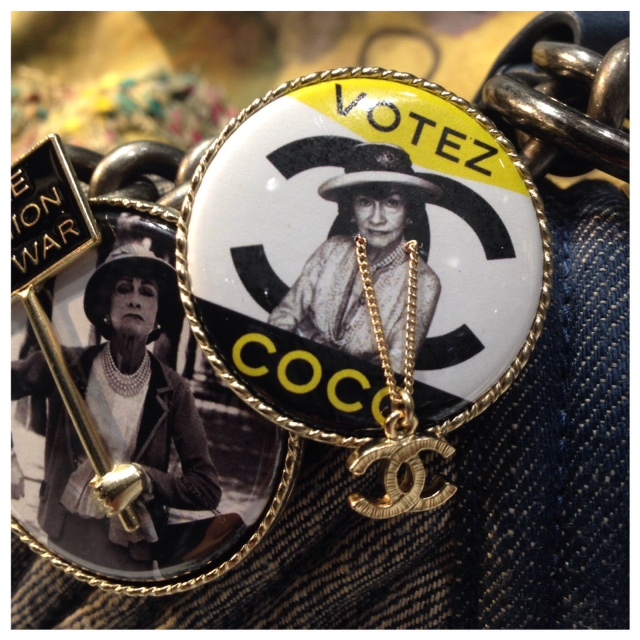 At the Chanel press days, there are always accessories and some fashion – watch out for badges being a thing next spring! 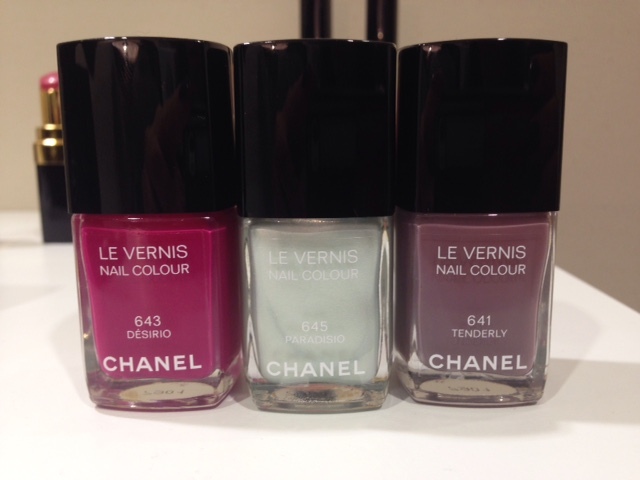 Three new nails shades are heading our way – Desirio, Paradisio and Tenderly – watch out for a rush on Tenderly, a beautiful ashes of violet colour. It’s greige all over again, only using a lavender key note to wash with grey. 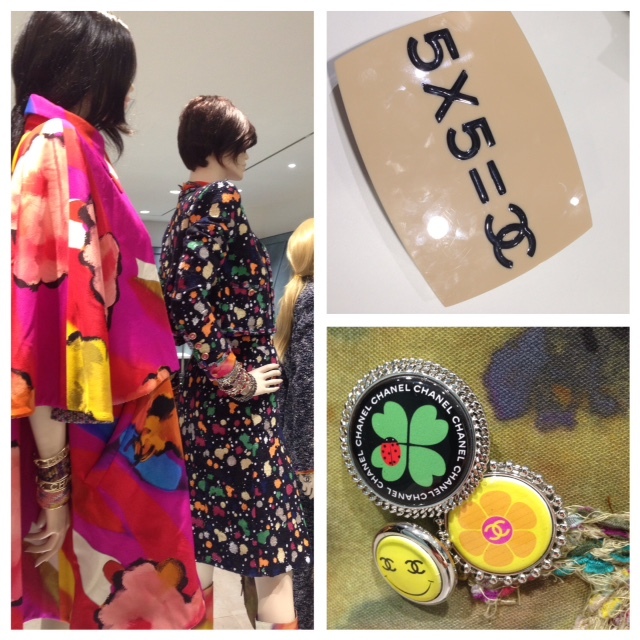 Riots of colour, more badges and perspex clutches – love the maths equation, done the Chanel way. What a beautiful collection! Can’t wait for it to arrive in stores. The pink one is just gorgeous! 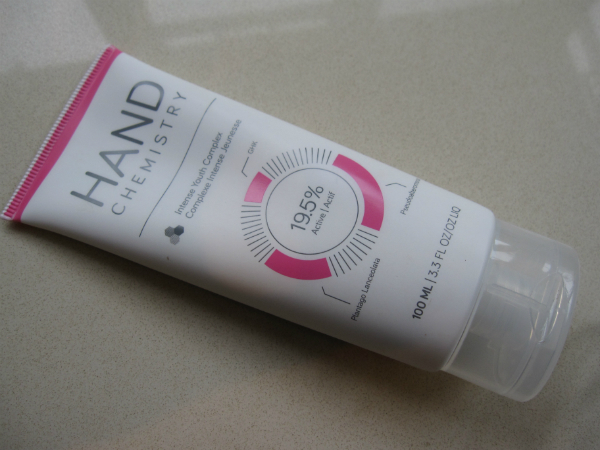 I need it in my life! 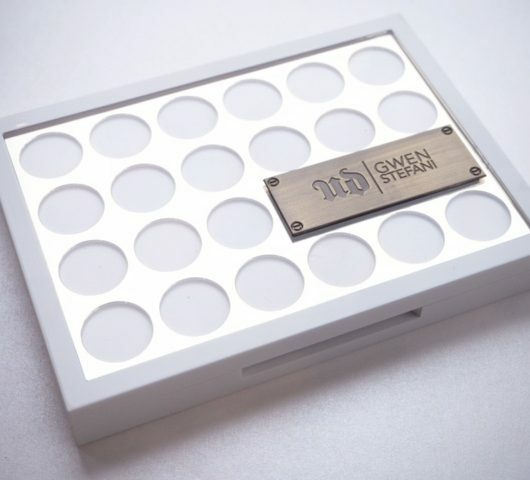 isn’t that similar technology to what we saw from the anna sui cheek powder earlier on? Petals and flowers raised to different levels in the pan? or am I mistaken? No, it’s far less precise on the Anna Sui.. it is raised but not at this precision. 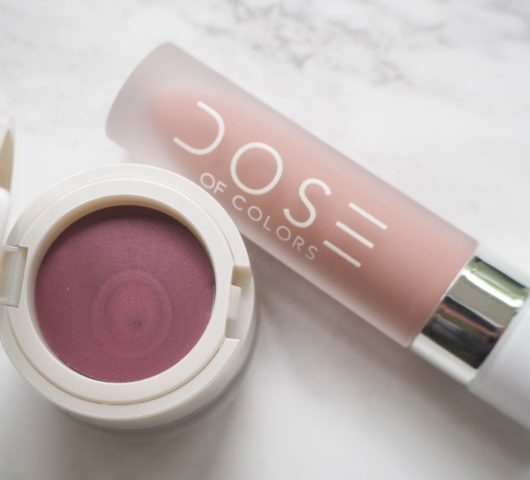 The Jardin blusher is by far my favourite! 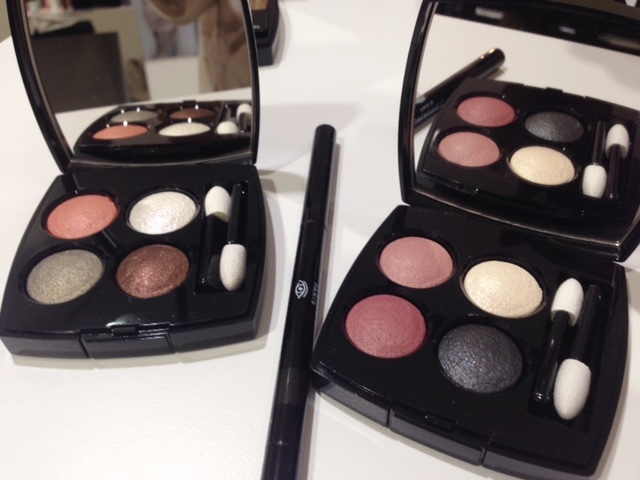 I’ve never caved to anything Chanel yet but I fear this will be hard to resist!